As a solar developer, EPC and product supplier, Inovateus Solar has partnered with some of the top module, inverter and balance of system manufacturers for the highest quality, most reliable solar parts on the market. They procure the best solar components and systems for our own utility, commercial, industrial and other large-scale projects as well as the residential installers that we support through our supply business. Canadian solar’s leading cell and module technology guarantees the world class stability and reliability backed by 25 years linear performance warranty. All series of regular modules are manufactured to the strictest engineering guidelines, ensuring each module meets the international standards of quality and safety. 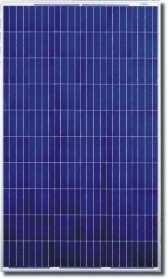 Standard modules are powered by 125 x 125mm (5 inch) or 156 x 156mm (6 inch) high efficiency mono-crystalline or poly-crystalline solar cells. These modules are suitable for all types of solar applications from large scale solar farms to residential and commercial roof-top systems. A solar power system is only as good as its inverter. It operates the solar cells at the optimum electrical operating point (MPP) and transforms their direct current into grid-conforming alternating current. Its quality defines the yield, and as such it is the heart of a solar power system. Solar power systems are just as individual as the buildings on which they are installed. Therefore, the installation engineer must be able to select the inverter which most optimally suits the respective generator and which guarantees the greatest yield from a broad product lineup. 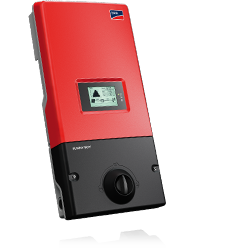 SMA not only offers exceptional system oriented know-how, but also the appropriate solar inverter for every requirement: for grid-coupling or stand-alone electricity supply, for single or threephase grids, from kilowatt to megawatt, with or without transformers and for each module type. 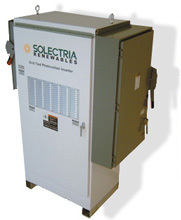 Additionally, Solectria Renewables provides a one-stop resource for fused string combiners, SolrenView data monitoring solutions as well as disconnects, meters and more. Modbus communication is available for commercial and utility scale inverters.